When you walk into a pet store, it’s easy to be overwhelmed by the sheer number of options. Some stores have multiple aisles of dog food, and every brand seems different from the one next to it. Not only are there myriad different brands, but every brand has multiple recipes – sometimes dozens of them! So, how do you choose the right dog food for your dog? What do you base your selection on? All dogs have the same basic nutritional needs because they all belong to the same species. 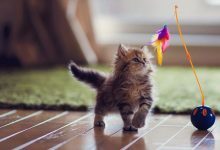 Even so, breeds of different sizes and activity level have slightly different requirements for calories and certain nutrients. If you think about it, it makes sense that a Chihuahua might not do well on the same food you would feed a giant Mastiff. One way to shop for dog food is based on breed size. If you want to learn more about the best food for small dogs, keep reading to see our reviews! If you have a tight budget to work with but you don’t want to feed your dog bottom shelf dog food, Nature’s Recipe Grain-Free Small Breed Dog Food is a good compromise. Affordably priced healthy dog food and made with real chicken, sweet potatoes, and pumpkin, this small-breed recipe is formulated for adult dogs under 25 pounds. It is also free from corn, wheat, and soy ingredients as well as poultry by-products. Not only is real chicken the first ingredient in this Nature’s Recipe Grain-Free Small Breed Dog Food, but it is an easy to digest formula free from grains and gluten. It is supplemented with glucosamine for joint health and plenty of protein for strong muscles. Plus, it’s loaded with antioxidants and essential nutrients for balanced nutrition. When shopping for dog food, you’ll come across a lot of recipes that use buzz words like “natural” and “holistic” but when it comes to Hill’s Ideal Balance Small Breed Dog Food, it’s the truth. This recipe is made with all-natural chicken as the first ingredient with brown rice as a source of digestible carbohydrate and dietary fiber. For healthy fats, this recipe contains chicken fat, so you can rest assured that it will meet your dog’s needs for energy. This Hill’s Ideal Balance Small Breed Dog Food contains several digestible, fiber-rich carbohydrates to ensure healthy and regular digestion. It is also supplemented with vitamins and minerals for nutritional balance with green peas and apples for natural sources of key nutrients. Overall, this recipe is designed specifically for small-breed dogs to support healthy digestion, immunity, and body weight. 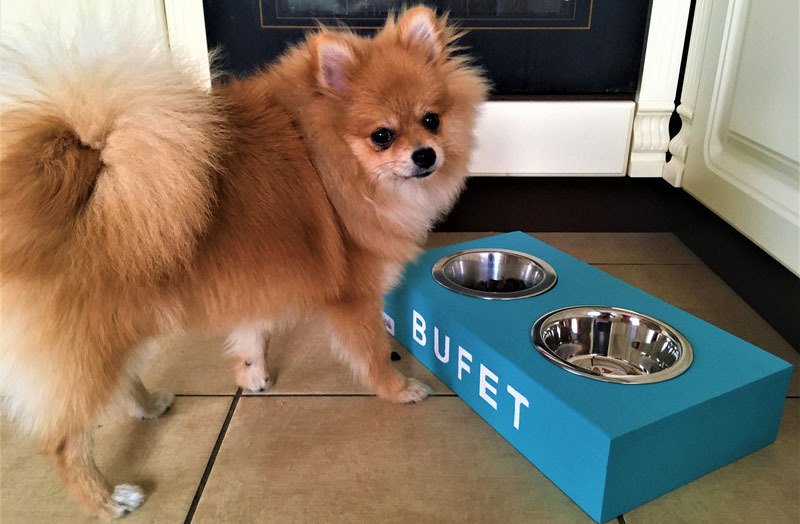 If you choose to feed your dog wet food, the Wellness Petite Entrees Mini-Filets line of products is an excellent choice. After all, it has an Amazon’s Choice award! This line of wet foods is specifically designed for smaller adult dogs and it provides healthy and balanced nutrition through the use of real food ingredients like chicken, beef, carrots, and green beans. There are over a dozen recipes to choose from, so you can pick what your dog likes or try them all. The Wellness Petite Entrees Mini-Filets line of products is entirely grain-free, so you can rest assured that it won’t bother your dog if he’s sensitive to grains. It is also free from potatoes and other low-quality fillers. The food comes in a convenient, easy open tub and each recipe is free from corn, wheat, and soy as well as meat byproducts and artificial additives. The Natural Balance brand of dog food is dedicated to providing high-quality nutrition for dogs through the use of natural ingredients. The Natural Balance Original Ultra Small Breed Bites line of products is uniquely formulated for small-breed dogs and made with a variety of protein options like chicken and duck. 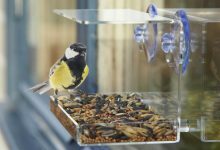 Each recipe features an animal-based protein as the first ingredient, often including both a fresh meat and a meat meal for concentrated protein. The Natural Balance Original Ultra Small Breed Bites line of dog food is supplemented to target specific aspects of small-breed health. It contains a blend of EPA and DHA for brain health and development with multiple types of fiber for healthy digestion. Omega-3 and omega-6 fatty acids support skin and coat health while quality proteins help maintain lean muscle mass. For dogs that prefer wet food, this Halo Grain Free Small Breed Chicken & Salmon Recipe is a great option. Made with real chicken and salmon, this protein-rich formula is free from meat meals, GMO ingredients, and artificial additives. 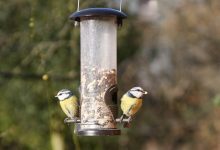 It does, however, contain plenty of animal protein, healthy fats, and beneficial supplements such as chelated minerals. The Halo brand of pet food is dedicated to holistic nutrition for pets, designing products that nourish the dog from the inside out. Their recipes are all free from GMO ingredients and made only with real, whole meats. 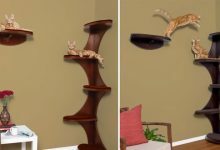 Their wet food formulas are particularly popular among picky eaters and there are five grain-free formulas to choose from in this line. The Blue Buffalo company offers a wide variety of products but the Wilderness line is known for being particularly high in protein. Protein is essential for maintaining lean muscle mass in adult small dogs but is especially important for growing puppies. This Blue Buffalo Wilderness Rocky Mountain Small Breed Recipe is an excellent example of protein-rich nutrition for small dogs. 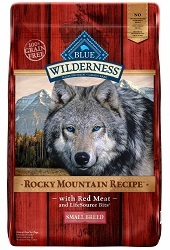 This Blue Buffalo Wilderness Rocky Mountain Small Breed Recipe features deboned beef and chicken meal as the top two ingredients, following by gluten-free and grain-free carbohydrates like peas and tapioca starch. Other beneficial ingredients include menhaden fish meal, chicken fat, chelated minerals, and probiotics. When shopping for dog food for your small breed dog, you want a formula designed specifically for his nutritional and energy needs. This Wellness Complete Health Small Breed Dog Food is formulated as an everyday recipe that will satisfy your dog’s cravings and nourish his body. It features deboned turkey as the first ingredient with oatmeal for digestible carbohydrates and dietary fiber. It is also supplemented with chick meal, salmon meal, brown rice, and barley. This Wellness Complete Health Small Breed Dog Food recipe is packed with 28% protein and 16% fat with 4% fiber to ensure healthy and regular digestion. It is balanced with vitamins and minerals for healthy immunity and plenty of omega fatty acids for healthy skin and coat. Plus, it is supplemented with chelated minerals and probiotics. 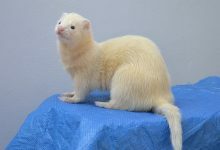 If you’re looking for a brand that treats small breed dogs like the unique and wonderful creatures they are, look no further than Solid Gold. This brand offers high-quality, holistic dog food formulas uniquely designed for small breed dogs in small cups packed with nutrition. Choose from three grain-free and gluten-free formulas featuring proteins like chicken, turkey, and lamb. Solid Gold Lil’ Boss Grain-Free Small Breed Dog Food is all-natural and completely grain free, so it will be easy for your small dog to digest. Plus, each recipe is supplemented with omega fatty acids for healthy skin and coat, plus extra fiber for digestion. 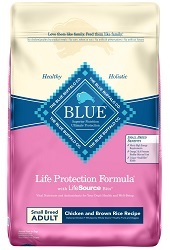 The Blue Buffalo Life Protection line of products is designed to meet the unique nutritional needs of dogs of different sizes and in different life stages. This particular formula is made for small-breed dogs, so it is high in energy, loaded with healthy omega fatty acids, and made in a smaller kibble size. Plus, it fulfills the True Blue Promise of no chicken or poultry byproduct meals, no artificial additives, and no corn, wheat, or soy ingredients. This Blue Buffalo Life Protection Small Breed Adult Formula features both deboned chicken and chicken meal at the top of the ingredients list with brown rice, oatmeal, and barley for digestible carbohydrates. Other beneficial ingredients include menhaden fish meal, chicken fat, fresh fruits and veggies, chelated minerals and probiotics. If you’re looking for a top-shelf dog food, organic is the way to go and the Castor & Pollux brand does it well. This Castor & Pollux Organic Small Breed Recipe features organic chicken and organic chicken meal as the top two ingredients followed by organic sweet potatoes, organic chickpeas, and organic peas. 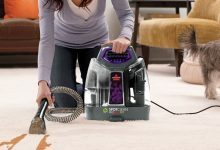 Other beneficial ingredients include organic seeds, oils, and vegetables. This Castor & Pollux Organic Small Breed Recipe is packed with protein, healthy fats, and fiber, so you can rest assured it will meet your dog’s unique nutritional needs. It is cooked in an organically certified USA kitchen and held to the highest standards of quality as well. Simply put, you can’t do much better than this Castor & Pollux Organic Small Breed Recipe for your dog. Do you know what’s in your dog’s food? Have you ever actually taken the time to read the food label or to even glance at the ingredients list? Many people take for granted the fact that dog food is made for dogs. Just because a product is marketed in a certain way and the package is covered in colorful pictures and lofty health claims doesn’t mean that it is a good product. 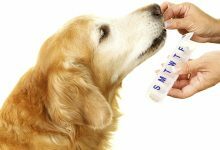 As a dog owner, you are responsible for meeting your dog’s needs – that includes feeding him a healthy diet. If you have a small dog, you’ll need to know what makes his nutritional requirements different and how to meet them. Keep reading to learn more about the nutritional needs of small dogs and how to choose a high-quality dog food product to meet those needs. What Nutrients Do Small Dogs Need? When it comes to the nutritional needs of dogs, there are many to consider. First and foremost, however, dogs need calories. 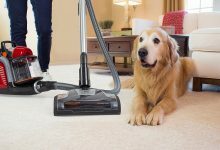 Calories are often treated like an enemy, but the truth is that they are simply a unit of energy and your dog needs energy for his body to function properly. 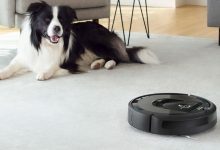 But how many calories does your dog need? 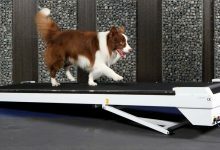 On average, dogs need about 30 calories per pound of bodyweight to maintain their metabolism. Small dogs, however, have very fast metabolisms which means their calorie needs are higher – sometimes as high as 40 calories per pound. In addition to calories, your dog needs protein, fat, and an assortment of vitamins and minerals. Protein is the most important nutritional consideration for dogs after calories because it provides the building blocks for healthy tissues and muscles. Dogs are scavenging carnivores by evolution which means that their bodies are evolved to digest and utilize nutrition most efficiently from animal-based sources (things like meat and eggs versus plant foods). In a pinch, however, dogs are able to digest some plant foods – this is why they are called scavenging carnivores. Many people think of fat as a bad thing, but it is actually a highly concentrated source of energy for dogs. Fat is particularly important for small dogs because of their high calorie needs. 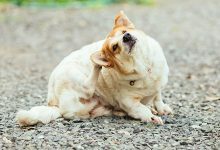 The best sources of fat for dogs are chicken fat and fish oil, but these can be paired with plant-based fats like canola oil and flaxseed for a balance of essential fatty acids. In addition to protein and fat, your dog also needs certain vitamins and minerals. Luckily, the American Association of Feed Control Officials (AAFCO) has created a detailed nutrient profile that each dog food formula must meet in order to be sold as a “complete and balanced” product. This means that any dog food you pick off the shelf that is intended for staple feeding will contain all the necessary nutrients your dog needs to thrive. One thing you need to consider when shopping for dog food is that the quality of ingredients matters. Remember, animal-based ingredients are better than plant-based ingredients, and it is always better to get important nutrients from natural sources. For example, a dog food that contains fresh fruits and vegetables in addition to protein and fat will be more nutritious than a dog food that contains a long list of synthetic supplements. 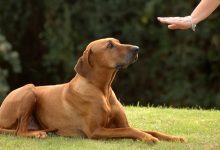 Both recipes might contain the same nutrient profile, but nutrients from natural sources are more biologically valuable for dogs – they are easier for his body to absorb and utilize. How Much Should You Feed a Small Dog? When you think about how much you feed your dog in a given day, you probably think about it in terms of measurement. Maybe you feed your dog a half a cup twice a day or one-third cup three times a day. What really matters, however, is the number of calories. No two dog food formulas are exactly alike, so you need to read the label to see how many calories that recipe contains to determine how much to feed your dog. Luckily, most dog food labels offer feeding recommendations based on the calorie content of the recipe in comparison to the basic calorie requirements of dogs. You’ll need to know how much your dog weighs but you can simply look at the chart to see how much food he needs in a day then divide it by the number of meals you prefer to feed. Keep in mind that these feeding recommendations are just that – recommendations. 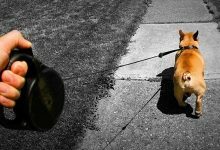 Your dog may need more or less than the recommendation based on his age and activity level. 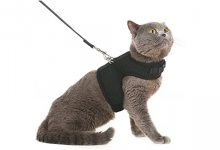 You’ll need to keep an eye on his body weight and condition to see if you need to make an adjustment. 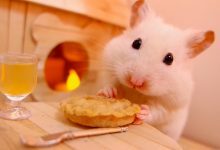 Basically, if he starts to gain too much weight you should feed him a little less and, if he loses too much weight, feed him more. 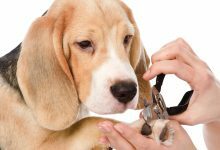 If you aren’t sure how much to feed your dog, talk to your veterinarian to see if your dog is at a healthy weight for maintenance or if he needs to go up or down in weight. Is Wet Food Better Than Dry Food? Another question many small breed dog owners ask is whether it is better to feed their dogs dry food or wet food. There are a number of factors to consider in answering this question. On one side of the issue, the best dog food to feed your dog is the one that meets his nutritional needs that he also likes and will eat. For some dogs, wet food is simply more palatable than kibble. In some cases, such as for older dogs or puppies, wet food is also easier to chew and to digest. Wet food is also higher in moisture, so it can help keep your dog hydrated. Something else you should think about, however, is your dog’s dental health. 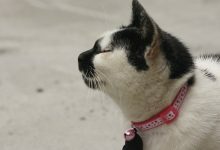 Wet food is softer than dry food and kibble is often designed to help scrape plaque and tartar off your dog’s teeth as he chews it. Not only does wet food not clean your dog’s teeth, but it can get stuck between his teeth and increase the risk for tartar buildup. Why is this a problem for small dogs? 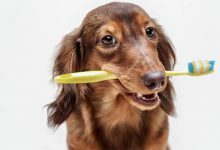 Because small dogs are more prone to dental problems as it is, so there are additional challenges for keeping their teeth clean and healthy. Small dogs have smaller mouths, simply based on their size. In many cases, small breed dogs also have very compact jaws with their teeth crowded together. This leaves room for tartar formation and contributes to other dental problems like gum recession and tooth loss. In fact, it isn’t unusual for small breed dogs to have lost half of their teeth by the time they reach 12 years old. In the end, it is up to you to decide what you want to feed your small dog. You need to take into consideration the information you’ve learned here and make a smart choice from the options available. To help you get started, we’ve provided reviews of quality dog food small breeds. Use these reviews as a starting point when you’re ready to start shopping. Good luck!